UPDATE 7-22-2015: KOMO News reports that 47-year-old Richard Anthony Hicks, who is accused of causing a fatal boat accident on Lake Washington last summer, was found guilty on one charge of homicide by watercraft and two counts of assault by watercraft by a King County jury Tuesday evening. Hicks was believed to be under the influence of alcohol when the motor boat he was driving crashed into a sailboat, killing 33-year-old Melissa Protz and injuring two other passengers. Hicks admitted to consuming alcohol shortly before the crash, according to court documents. Hicks is reportedly facing between 51 and 68 months in prison for the fatal crash. He will be sentenced on September 4th. ORIGINAL STORY: The 46-year-old man who was piloting a speedboat that struck a sailboat on Lake Washington on July 16 – which severely injured multiple passengers on board and also killed local school teacher Melissa Protz – pleaded not guilty to multiple charges in a King County court last week. According to the Renton Reporter, Richard Anthony Hicks entered a not guilty plea to charges of homicide by watercraft and assault by watercraft on Monday, August 4 in King County Superior Court in downtown Seattle. Police say that Hicks was operating his boat at a high rate of speed – witnesses stated they believed he was traveling at approximately 45 mph that day – and in a reckless manner in the moments before he crashed into the sailboat that killed 33-year-old Melissa Protz, a school teacher in Seattle. Police also believe Hicks was under the influence of alcohol when the crash occurred. In court documents, police also stated that there was a high probability of sailboats and other vulnerable watercraft on the lake, and therefore Hicks should have known better than to drive the boat as fast as he was at the time. Hicks’ fiancé told investigators that the couple each had a couple of drinks throughout the night, though one police officer stated he could smell the odor of alcohol coming from the pilot’s breath. Charging documents also claim that Hicks is a “repeat driving under the influence offender,” referencing multiple DUI-related charges between the years of 1989 and 2013. 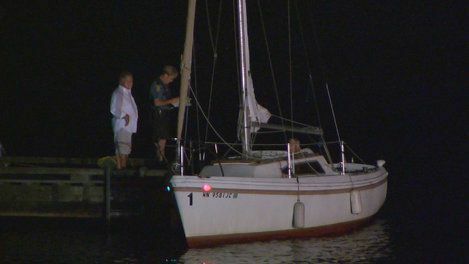 The sailboat, which was being piloted by Shreedhar Madhavapeddi, was equipped with only an electric trolling motor and was returning to shore when the collision occurred. The passengers on board the sailboat reportedly saw the boat approaching and tried to make their presence known, but Hicks and his passengers could not hear them because they were traveling so fast. Madhavapeddi suffered serious injuries in the crash, according to news reports. The fact that Hicks has a history of DUI-related offenses and was exhibiting signs of impairment shortly after the boat collision occurred obviously do not appear to be working in his favor. Sadly, this tragic collision resulted in the loss of one woman’s life and serious injuries to others who were also on board the sailboat. At some point, the family of the victim in this incident may decide to explore their legal options for holding the at-fault party(s) responsible for their actions. If they eventually decide to pursue a wrongful death claim on behalf of the victim, there are a number of legal obstacles and challenges that they may potentially encounter. First, one of the more significant issues with boating accident cases is that the laws of boating are significantly different than those concerning traditional motor vehicles on a public roadway. Establishing negligence and liability could be more difficult under these circumstances, and an attorney with experience in maritime accident cases would have a better understanding of these issues. Also, the fact that Mr. Hicks reportedly consumed alcohol at a restaurant on the water before the collision occurred brings the possibility of dram shop laws being applied in the case. In Washington state, establishments serving alcohol to patrons have a duty to not overserve patrons who may already be intoxicated. An establishment that violates this duty could potentially be held liable in a civil claim.